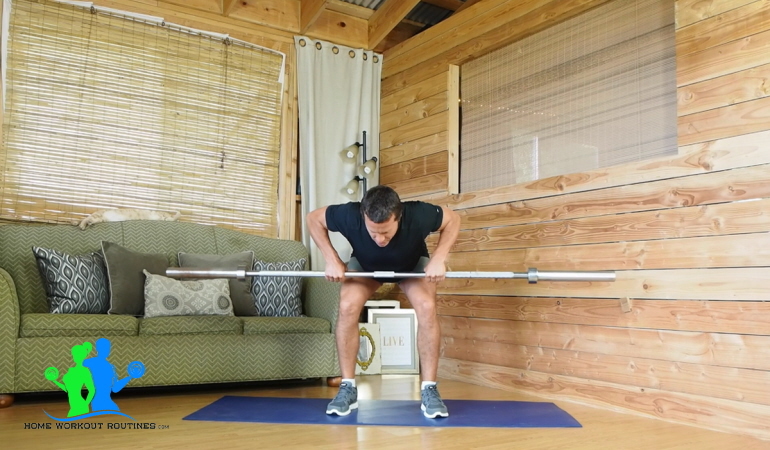 The bent over barbell row is a brilliant compound movement for your upper body which works not only your arms, but also your back, shoulders and core. If you want to develop larger and stronger muscles, you need to load the barbell with a weight that you can complete 4-8 reps of the exercise with. In order to improve your muscle tone and endurance, you need to select a weight you can complete 12-16 reps of the exercise with. 1. Stand with the barbell in front of our legs and your feet about shoulder width apart. 2. 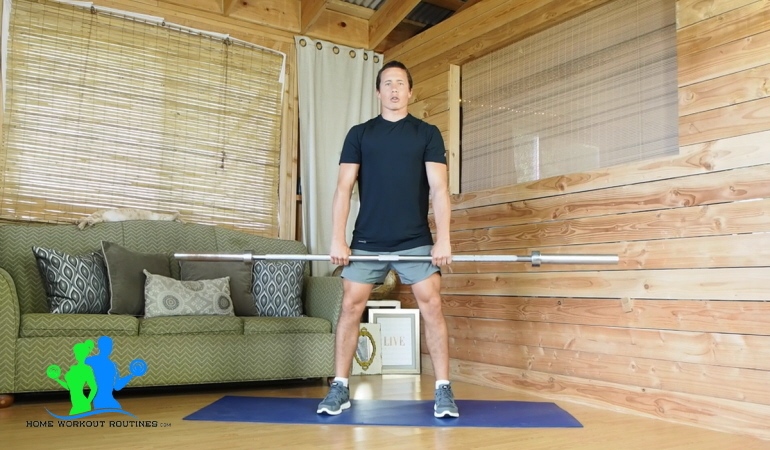 Bend forward at the waist and grab the barbell with both hands using an overhand grip. Make sure that your hands are about a shoulder width apart. 3. Straighten your waist, lift the barbell off the ground and rest it against the front of your legs. Make sure you keep your legs and body straight. 4. Bend forward at the waist and bend your knees slightly. 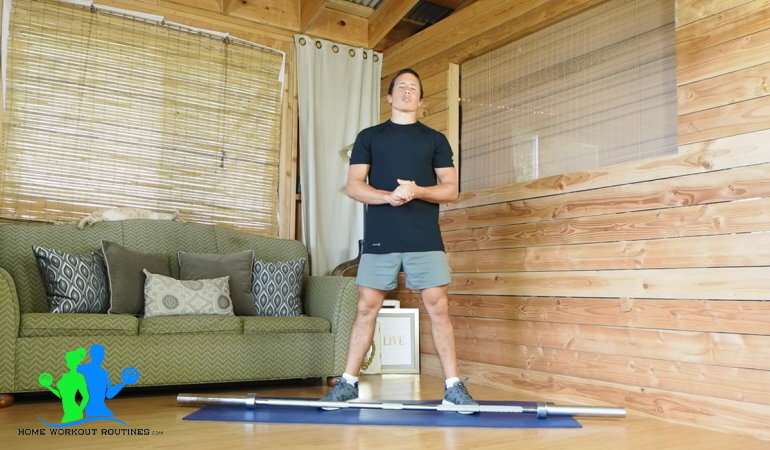 As you do this, keep your arms straight, keep your knees in-line with your feet and hang the barbell in front of the lower part of your legs. 5. 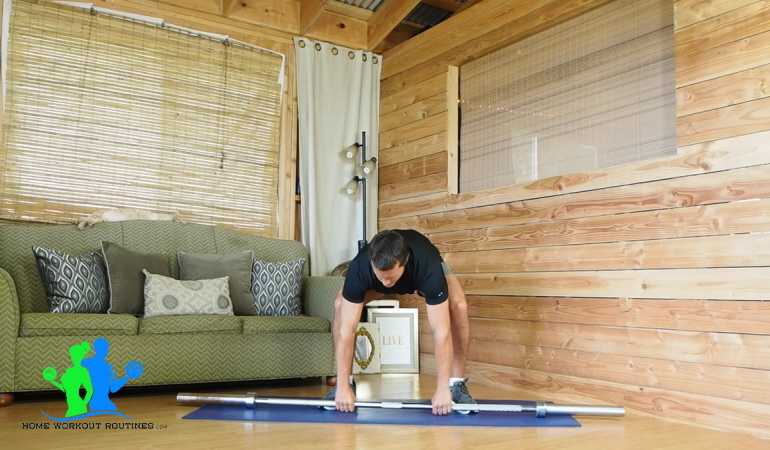 Hold your legs and body in this position, then slowly bend your arms and row the barbell up toward your chest, stopping a few inches before the barbell touches your chest. 6. Keep holding your legs and body in this position, then slowly straighten your arms and lower the barbell back down in front of the lower part of your legs. 7. Repeat steps 5-6 for your desired number of reps, then place the barbell on the ground, stand up straight and rest for 1 minute. 8. Repeat the exercise two or three more times. Cautionary Note: This type of exercise is not really recommended for people that have back problems. A Low Pulley Row would be a better choice for people with back problems. If you have got a healthy back, make sure that you use proper form and never slouch your back forward as this can cause a back injury. Be cautious as well when adding weights; in case of doubt, use less weight rather than more.